This is a well-produced book with numerous black and white illustrations and maps, including the intriguing ‘upside down’ map of 1619. 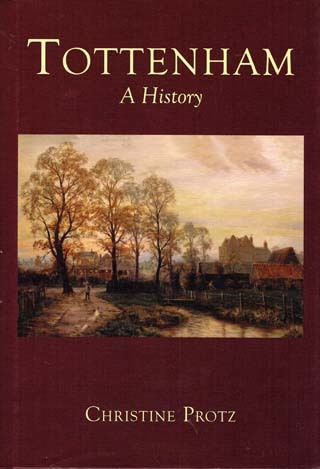 The author details the history and importance of Tottenham from the Norman Conquest to the present day. Its history was for hundreds of years dominated by its position along Ermine Street, the Roman road running from London to Lincoln and over the centuries the economy changed from farming to commerce and industry. Chris Protz is a long-time resident of Tottenham who has studied various aspects of local history. She is an active member of several local community groups including the Friends of Bruce Castle which she helped establish. She has been a museum volunteer for some years and has a close knowledge of the archives held there.